Spring has not sprung in Brooklyn–not at all. However, as winter marches on and the days slowly become longer, the garden begins to beckon. Nature’s ancient power will not be denied. My garden may be ice and mud but, out there in the wider New York area, the very first flowers of the season have already come into bloom. Looking at the Brooklyn Botanic Garden bloom list reveals that the hellebores have just opened up (unless you are reading this at some later point, in which case its still a great link). 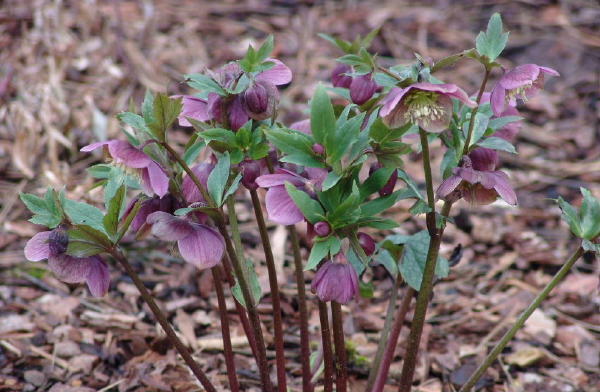 Hellebores are also called Lenten roses because they come into blossom so early. The name is a complete misnomer since they are actually part of the Ranunculaceae family along with buttercups and, um, ranunculuses. The plants are very beautiful. The pure white H. niger blooms even in the midst of frost and snow. 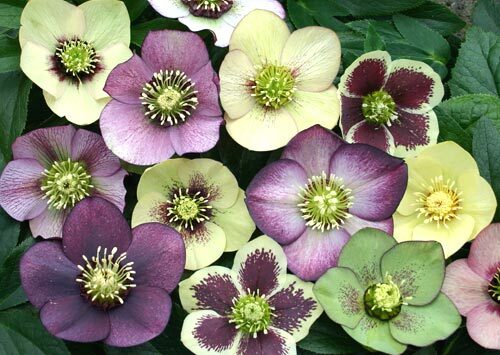 Helleborus orientalis is widely grown for the many delicate colors of its flowers. Despite its ghastly name, Helleborus foetidus is known and loved for its pale green flowers which stand out prettily against its dark evergreen leaves. Do not, however, be taken in by the beauty of the hellebores: they contain a very potent toxin. Some species such as H. viridis contain compounds which cause ringing of the ears, confusion, thirst, a feeling of suffocation, swelling of the tongue and throat, slowing of the heart, and ultimately death from cardiac arrest. Even the virginal white Helleborus niger causes burning sensations, oral sores and terrifying gastritis when ingested so do not eat these plants! Hellebores grow widely across Europe and the near east, however the greatest concentration of species can be found around the Balkans. Many myths and legends have come to be associated with the dangerous plants. 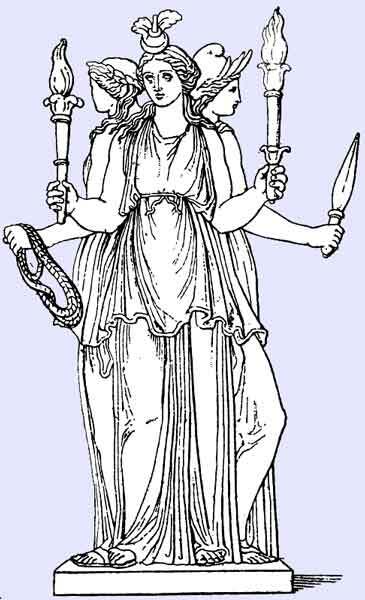 The flowers were sacred to Hecate the underworld godess of magic, sorcery, and crossroads. This association with witchcraft and the underworld has made the hellebore the subject of much dark poetry. In the absence of useful remedies, ancient Greek physicians treated psychological disorders with hellebore. 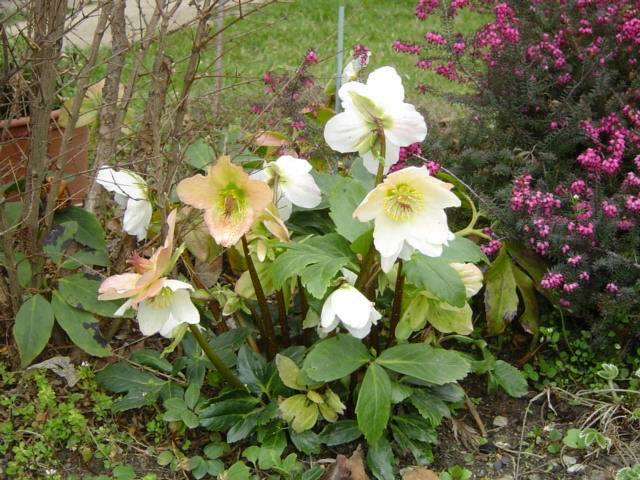 It has been speculated that Alexander the Great may have died from hellebore which he was self-administering. Hellebore holds a further place in history as an early chemical warfare agent. 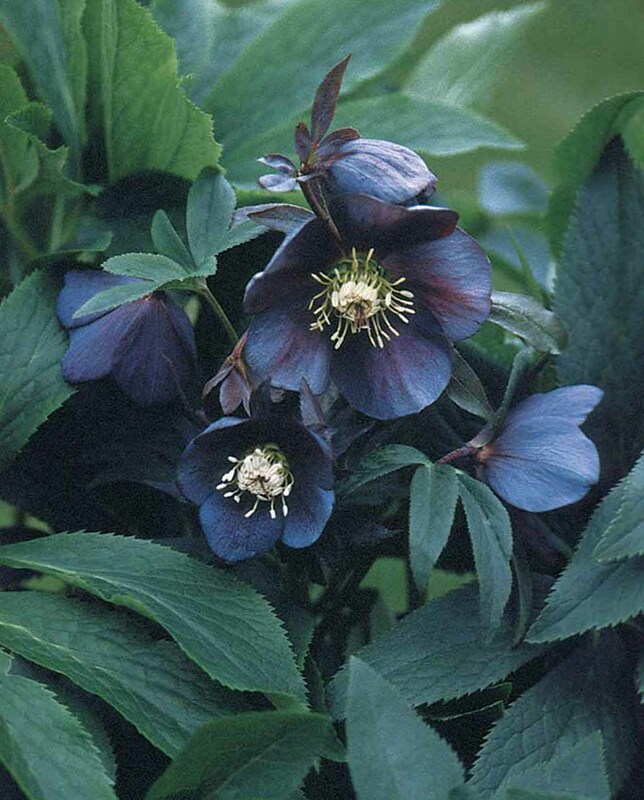 During the Siege of Kirrha in 585 BC, the Greek besiegers poisoned the city’s water supply with hellebore. So many of the defenders were undone by the herb’s purgative effects that the city fell and the Greeks slaughtered all of the inhabitants. Hmm, that got darker then I intended, my real point was to enjoy the first lovely blooms of the year. Spring is finally on its way! OOooo! What a beautiful colour! Didja know that there is a False Hellebore flower essence (Alaskan Essences) that is for “the release of false concepts; catalyzes movement from the old to the new; helps us face our deepest and darkest fears with an open heart”. I find it fascinating to explore the essences that cities ‘attract’. I looked up the false hellebore and found that it is a Veratrum, which is a very interesting genus in its own right. Plants from the Veratrum genus contain a potent toxic alkaloid capable of persistently activating the sodium channels of cellular membranes in eukaryotic cells. Since this, in turn, leads to death (from cardiac arrest in vertebrates), it was used by Native Americans to poison arrows. Some tribes apparently also utilized it as an insecticide. Compounds derived from this class of alkaloids are today used in chemotherapy to (carefully!) kill malignant tumors. Fascinating! Poison arrows – very Chironic, don’t you think? Hi, are these your photos? They are gorgeous and I really enjoyed the article.